Hilden/Wetzikon, 27 September 2018 - Midoco acquires a majority share of Umbrella AG, Switzerland. With the acquisition, Midoco secures a position as key player in the mid-office services for the travel industry in Switzerland. In addition, the second product line of Umbrella, Umbrella Faces, is of high strategic interest for Midoco. With the help of Umbrella Faces, profile data of travellers can be synchronised across several GDS and other systems. Umbrella AG will remain an independent company. Founder and CEO Martin Bachmann retires, but will be available to the company in an advisory capacity and will stay involved in a number of key projects. Helmut Pilz, Remo Räber and Wolfgang Schuller remain shareholders. Steffen Faradi, managing partner of Midoco, becomes chairman of the Umbrella AG board of directors. 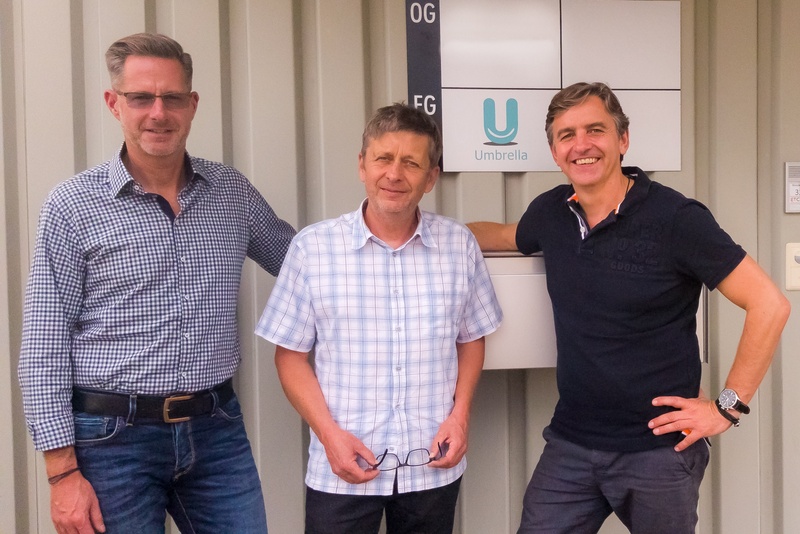 Faradi will also temporarily lead the operative business of Umbrella AG. Martin Bachmann comments on Midoco's entry as follows: "With Midoco I am glad to have found the right and strong partner for the further expansion of Umbrella. The teams fit very well and will push ahead with further internationalisation." Umbrella Faces synchronises traveller profile data across multiple systems. The software automates the synchronisation of profile data and helps customers to eliminate time-consuming and error-prone manual work in a world of fragmented travel distribution systems. Umbrella Faces is already being used internationally by numerous companies in the business travel sector. These include CTM, Uniglobe, GlobalStar, Clarity, Advantage Focus Partnership and ATG in the UK as well as a number of Midoco customers such as Lufthansa City Center travel agencies and Columbus in Austria. Faces synchronises profile data with partner companies including GDS operators Amadeus, Sabre and Travelport, as well as various online booking engines (OBE) in the business travel sector, such as Cytric, Atlatos, Concur and Farelogix. Umbrella Faces thus also maintains traveller profiles in the growing world of direct sales of travel services.